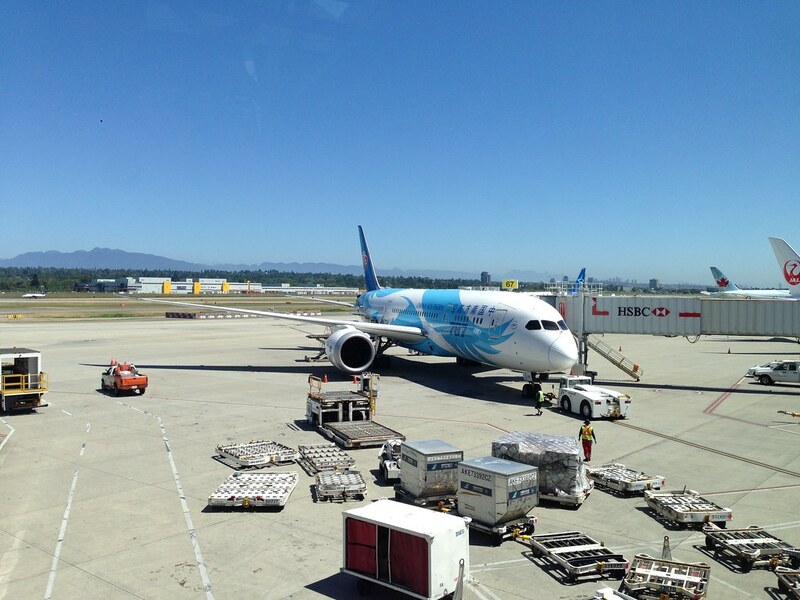 It was quite a hectic past 2 weeks, and it started on Tuesday 2 weeks ago with my flight from Vancouver to Guangzhou on China Southern’s 787. They might not be the best airline but it works perfectly for me since I get a Business Class seat that was full lie-flat, some nice Chinese cuisine in the air and perfectly well behaved passengers. I remember my first time boarding a Chinese passenger jet (China Eastern to be exact ) about 10 years ago from Singapore to Shanghai and that riotous scene was still in my minds. It was quite a different thing now. Boarding was orderly, granted maybe that was Vancouver and people were just slow to leave the city after all. Passengers were nice and did not shout, and it just became an ordinary boring flight across the Pacific. 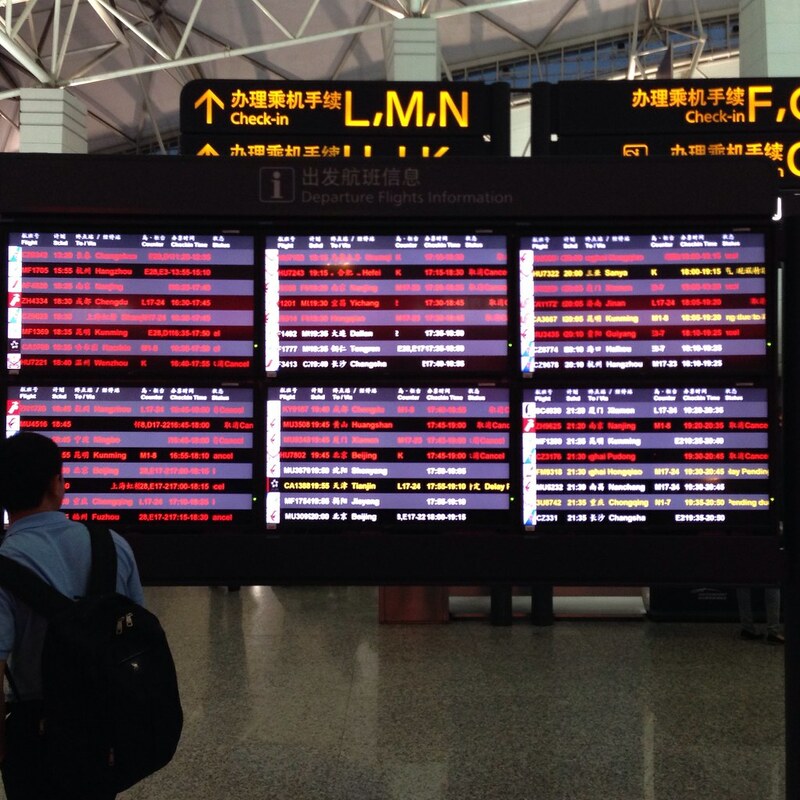 That’s lesson number one by the way, and as we landed at Guangzhou slightly behind schedule (5 mins late), I made a quick exit through customs and immigration which was once again uneventful. Since I was on a transit, I did not need to claim my luggage and walked briskly towards the domestic terminal. That was when things started to get downhill. I realized my flight was cancelled and I thus made my way to the Business Class check-in counter to get my flights re-assigned. 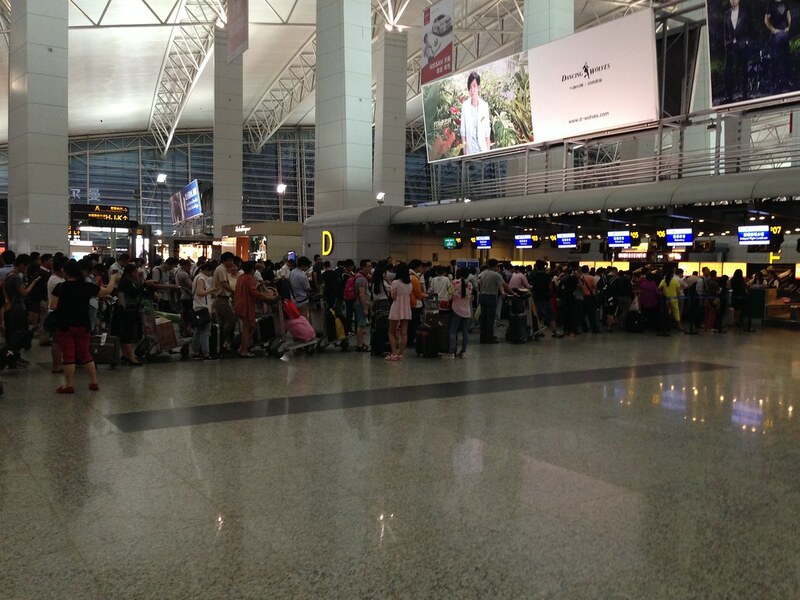 Naturally there was a queue but there were much more cancellations at Guangzhou Baiyun Airport that evening as there was apparently very bad weather that disrupted operations and delayed flights resulting in cancellations everywhere. However I was quite surprised that the majority of the people were queueing in an orderly manner, waiting for their turn at the counters. There are some who cut queues and they weren’t restricted to the Chinese, with some being expats. But my point here is that the majority of the people in China are not really that much different. They are not as portrayed in popular media having that uncouth behaviour. What I can say for sure is that 97 percent of the people are just waiting to be placed in the next flight to their destination. When experiencing irregular operations (IRROP for frequent flyer speak), passengers need to remain calm and try to find out what is happening. And when you are trying to get yourself re-booked on the next flight, ensure that your luggage can be found and placed. This is where travelling light without a luggage helps but as I was on a international flight transfer this made it extra difficult. While it helps to be patient, one should also constantly check with an agent to help you. And try to find a supervisor or one person who looks capable enough to handle the heavy barrage of enquiries by perplexed passengers. Do not get pushed between agents and always try to persuade and be nice to the agents handling your case as they are under pressure too. Basically on that day, I actually saw passengers and handling agents break down. Yes, those front line staff are humans too and they can break down in tears if pressured intensely. Eventually, the agent assisting me was able to retrieve my check-in luggage after a 2 hour wait as I was placed on the only remaining flight (CZ3571) flying out of Guangzhou to Shanghai Hongqiao. 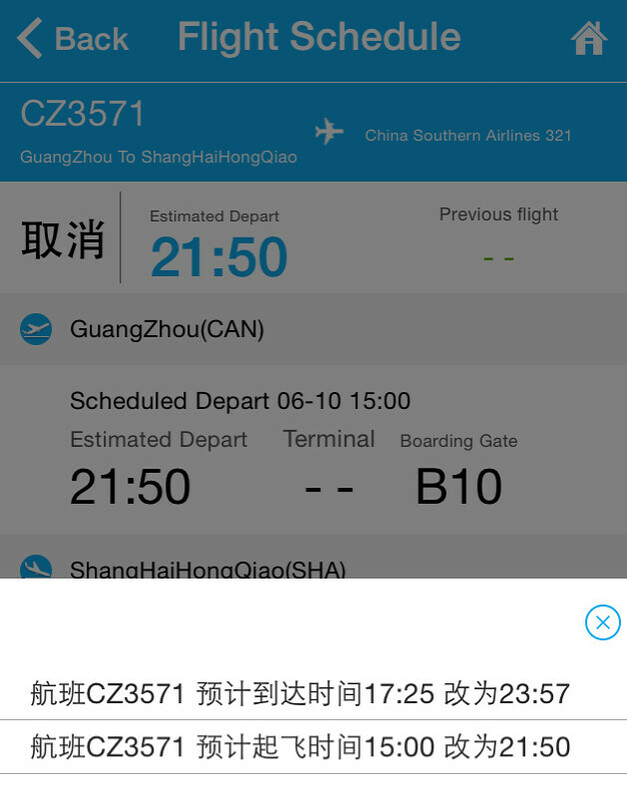 However the departure time for CZ3571 was still uncertain and awaiting notification, as CZ3571 I was assigned was scheduled to fly at around 3pm in the afternoon and has been delayed multiple times. Though this meant I was able to pass security and wait in the comfort of the lounge to get some dinner as I was famished after waiting around 4 hours in total for them to trace my luggage and re-assign me to this flight. 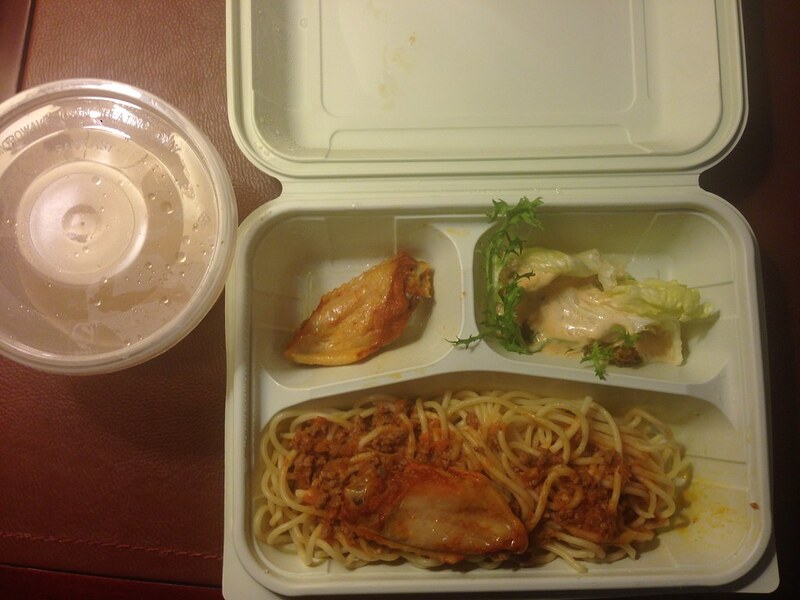 Unfortunately, the day dragged on longer for me, as after getting a cup noodle and some rest, the flight I was scheduled on was cancelled, meaning I had to stay overnight in Guangzhou. Assisted by a lounge staff, I was escorted out of security to the bus bay where there were multiple buses that brought passengers to hotels. Though by late in the night, there was not much left in nearby hotels which took another half an hour at least to a hotel in the foot of the Baiyun Mountains. At least it was a decent business grade hotel and it included breakfast while the hotel even prepared a pack of supper for each passenger. The next day, I received notification that the flight was to leave at around 3pm though I was able to get an earlier ride to the airport with some other stranded passengers who had made a fuss to request for an earlier flight. The main reason I did this was the sky turned overcast again and I thought to myself, “What if there is another huge thunderstorm in the afternoon and the flight gets delayed again?”. As it turns out I made a very good call since I was able to get a seat opened on an earlier flight and was even bumped up to a First Class seat. In fact when I checked the flight status at the end of the day, the flight I was supposed to be onboard eventually left at a late night. I think my experience with airports and weather patterns in Asia helped my instinct here and that is probably a good ending to what is probably one of my most tiring travel ordeal ever, though the full trip report for this adventure will have to wait as I am still writing up my roadtrip across the mountain regions of the Western United States. When faced with unexpected obstacles, be calm and try to find a solution. At the same time, try to minimize the losses by going for the next best alternative. It is better to find someone reliable to help you than a bunch of people who do not know what they are doing. Have a person be the one that you communicate with and get updates from. Rely on your own instincts, as that could be the way to change your own situation. Do not just accept the solution provided in front of you. Use smart phone technology to help keep yourself updated on the airport facilities and airline schedules. Most airlines have their own apps nowadays to make it easier to keep yourself updated.